feature Lawrence arnell Philly VIDEO Philly`s Lawrence Arnell Delivers Debut LP, "Beast or Brethren"+ Debuts Visuals for "Pressure Cooker"
Philly`s Lawrence Arnell Delivers Debut LP, "Beast or Brethren"+ Debuts Visuals for "Pressure Cooker"
Philadelphia native Lawrence Arnell has been in the rap game for the long haul and isn’t ready to slow down anytime soon. With over two decades under his belt—you also know his work under the name Diamondback—Arnell has seen it all and then some. But he’s mature and wise enough to live in the present and glance at the future, all while crafting some of his most authentic and finest music to date on his proper solo debut, Beast or Brethren. He may have a number of releases to his discography, but this LP marks a major step forward for the rapper who made a name for himself with raw rhymes alongside Jedi Mind Tricks and the expanded Army of the Pharoahs crew. There may be ferocious barbs littered throughout BoB, but there’s a genuine artistry at hand, too, that exceed beyond battle bars and bravado. You can hear this on the real-life immediacy of both “Dirty Larry” and “Real Recognize” (feat. Baby Blak and Frank Koufax). The album is grounded not just by Arnell’s strong songwriting chops—his vocals have never sounded better—but also the musical talents of Rob Viktum, who produced the entire project. There’s an instantly recognizable gel between the two, which Arnell chalks up to Viktum’s unique approach that allows for the chance for emcees to really breathe on the track. “It’s such a rich record, and comes from such a personal space,” Arnell says. He notes that it’s “hands down my favorite on the album”—and it’s hard to disagree. “When The Wind Blows” is a gripping look into the artist’s personal pain, and it’s also one of his most tightly written songs to date. It’s only fitting, then, that it’s the final track on an album that took years to piece together. 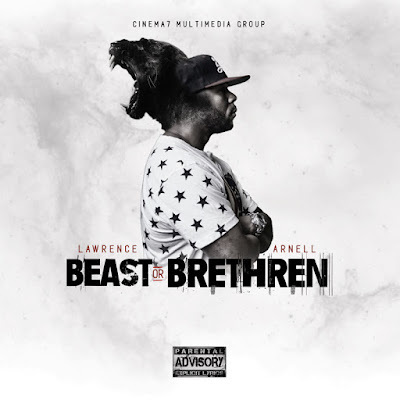 He may have released other projects in his career, but Beast or Brethren feels like the culmination of something major for Arnell. And lucky for us, he’s just getting started. In promotion of Arnell’s long awaited debut effort, the Philly spitter is pleased to christen his album launch with the MDot Media-directed visuals for the project’s opening cut, “Pressure Cooker.” Check out the visuals, and head over to the digital retailer of your choice to support, Beast or Brethren, which is available now via Cinema7 Multimedia Group.